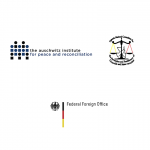 In collaboration with the Uganda National Committee for the Prevention of Genocide, the Auschwitz Institute for Peace and Reconciliation recently organized a Regional Training Seminar on the Prevention of Genocide and Mass Atrocities with the support of the German Federal Foreign Office. The event took place from August 23-25, 2017 at the Lake Victoria Serena Golf Resort & Spa in Kigo, Uganda. More than 15 participants from National Committees in the Central African Republic, the Democratic Republic of Congo, Kenya, South Sudan, Tanzania, Uganda, and Zambia attended the seminar alongside representatives from Burundi and the International Conference on the Great Lakes Region (ICGLR). 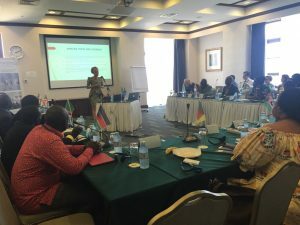 A geographically diverse group of instructors from Uganda, South Africa, Cameroon, Mozambique, and the United States presented materials and facilitated discussion between participants. Under the broad theme of mass atrocity prevention, the regional seminar focused on an array of topics, with modules devoted to themes such as the institutionalization of prevention, electoral violence in the Great Lakes Region, youth and atrocity prevention, lessons learned from working with the media, gender, transitional justice, and economic capacity building for National Mechanisms. As a result, participants examined different spheres of institutionalization, examined case studies of transitional justice processes in Argentina, discussed national plans that better include youth as agents of peace, strengthened National Committee networks, analyzed conditions that enable gender mainstreaming, and reviewed funding strategies and opportunities. The regional seminar also provided members of the various National Committees in attendance with the opportunity to exchange ideas and best practices with their counterparts from other countries. 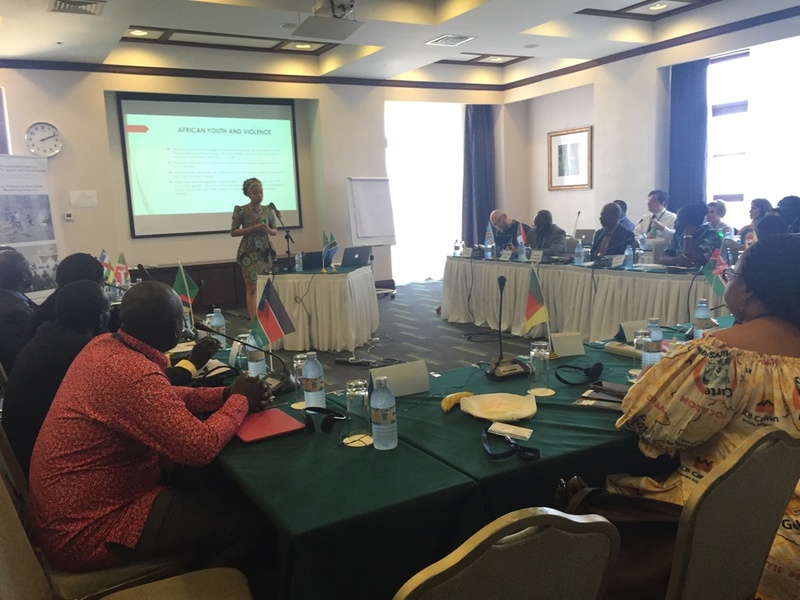 Challenges and successes on a series of activities were shared, including the enactment of national legislation in Uganda, the ongoing memorialization process in Kenya, and the launch of an Early Warning and Early Response Center in Tanzania. Throughout the event, participants engaged in conversations about the roles of national and regional mechanisms and considered ways in which these bodies can collaborate to enhance work on prevention throughout the region.